John Humphrys puts the questions to some of the UK's cleverest celebrities. Featuring Vincent Franklin, Christian Malcolm, Chris Warburton and Graham Fellows. John Humphrys puts the questions to some of the UK's cleverest celebrities. 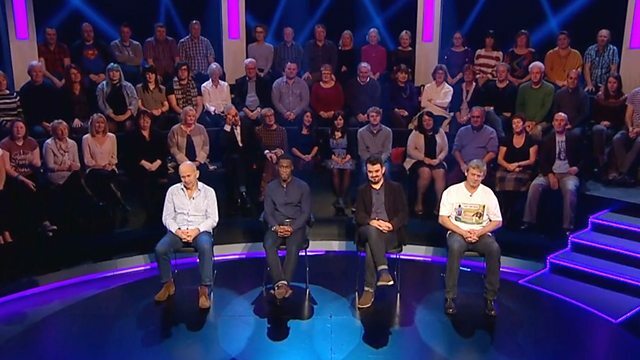 Actor Vincent Franklin, athlete Christian Malcolm, BBC Radio 5 live presenter Chris Warburton and comedian Graham Fellows - aka John Shuttleworth - take on the Mastermind chair, answering questions on Disney-Pixar films, Olympic sprinting, Reeves and Mortimer and Donald Crowhurst. Why not read up on this episode's specialist subjects with the following links?